How to Choose Makeup for Your Skin Tone? Home / Blog Posts / Tips / How to Choose Makeup for Your Skin Tone? “The best colour in the whole world is the one that looks good, on you!” – Coco Chanel. Click to Tweet! Makeup trends keep on changing with changing seasons and styles. What’s hot this season will be termed ‘out of fashion’ in a couple of months. So how are you supposed to choose makeup for your skin tone? Do we need to follow all the trends blindly? Of course not, some of the most celebrated makeup artists from all around the globe suggest buying makeup that looks good on you, irrespective of what is considered hot and what’s not. You should pick your foundations, concealers, eyeshadows and lipsticks depending on your skin’s tone, texture and colour. Pick the right shades based upon your skin type. Let’s discover how you can choose makeup for your skin tone. 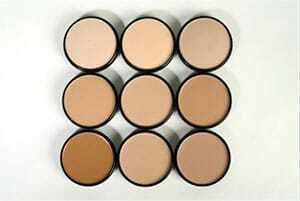 Examine Your Skin Tone – This is the first thing you need to know before buying any kind of makeup product. In order to determine your skin tone, wear a white shirt/t-shirt, stand in the natural light and look into a mirror. 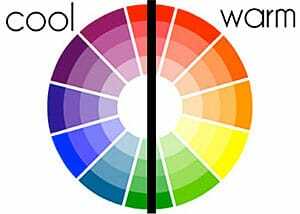 If your skin appears to be more on the yellow/red side you have a warm skin tone and alternatively, if it appears to be more on the bluish-pink side, you have a cool skin tone. TIP: You can also check your veins in order to determine your skin tone. People with green veins have warmer skin tones and those with blue veins have cooler skin tones. 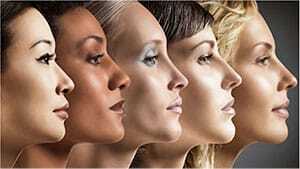 Examine Your Skin Colour – There are four different categories of skin colours – fair, medium, olive and dark. People with the same skin colour can have different skin tones. For example, you could be fair skinned with cool tone but your sibling could be fair skinned with a warm skin tone. It principally depends on your genetic makeup and on your ethnicity. Understanding your precise skin colour can help you in picking the right shades. Picking Foundation – While picking foundation, try to match your undertones. This could be a little tricky since your skin colour can be very different from your skin tone. For instance, if you have medium skin but yellowish skin tone, you need to pick a foundation with a hint of yellow in it, to match your skin’s undertone. TIP: Some brands actually have shades like ‘cool sand’ or ‘warm honey’ indicating the skin tone they are best suited for. Picking Eye and Lip Shades – If you have a warm skin tone opt for warmer shades like deep reds, champagne, brown, beige and golden. If you have cool skin tone pick shades which are dominantly pink, purple, rose and blue. Keep in Mind Your Skin Texture As Well – If you have dry skin, opt for mousse or crème based products and if you have oily skin pick powder-based products. If you have sensitive skin look for labels that say ‘non-allergenic’ or ‘for sensitive skin’. Pick the Right Makeup Brushes – If you have plans of buying powder-based products (since you have oily skin), you ought to have powder brushes, blush brushes and thick haired eyeshadow brushes in order to get a flawlessly natural look. If you are planning to get crème based products, get the right blending tools and sponges. 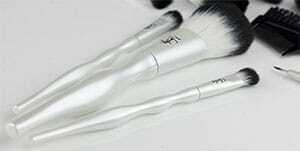 Without the right applicators, your expensive makeup products will be of no use. Did this short tutorial help you to choose makeup for your skin tone? If so please share it with others by clicking on the social icons, Tweet this. Is there anything you would like to add or perhaps you completely disagree. Share your thoughts in the comments below.